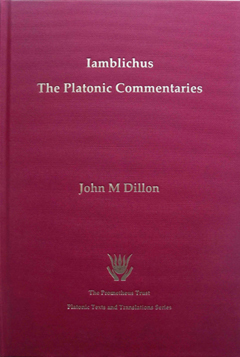 This is a new edition of Professor Dillon's 1972 collection and translation of the fragments of Iamblichus' Commentaries on the Platonic Dialogues - it benefits from the translator's amendments to his original edition gathered over the ensuing thirty-seven years of scholarly work. Facing Greek and English text, with extensive commentary by the translator. This perhaps more than any other English language publication shows how much Iamblichus as a writer deserves to be seen in the light of what might be called mainstream late Platonic philosophy, rather than as solely a "theurgic specialist." 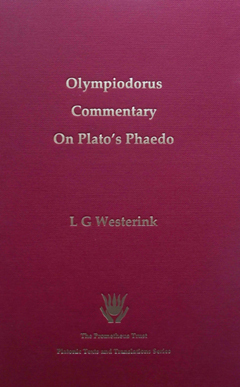 The first volume of L G Westerink's fine text and parallel translation of the surviving Greek Commentaries on Plato's Phaedo, consists of the Commentary of Olympiodorus which covers the Phaedo from Stephanus 61c to 85b. 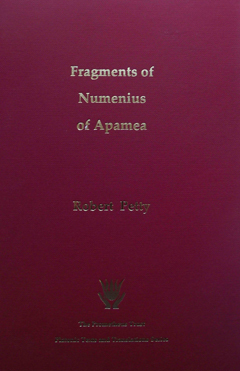 Both volumes have excellent introductions, extensive notes, and indices: together they give an insight into the final phase of the Platonic tradition before its disruption by the closure (by imperial edict) of the pagan Academies of Athens and Alexandria. This is a new edition with amendments as noted by L G Westerink in the margin of his own working copy after its first publication. 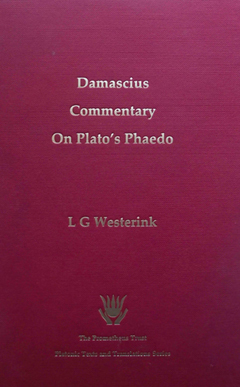 The second of the two volume translations of The Greek Commentaries on Plato’s Phaedo contains the Commentary of Damascius edited and translated by L G Westerink - or, more strictly, his two commentaries. The first of these covers the Phaedo from Stephanus 61c to its conclusion, the second from 69e again to its conclusion. Damascius, as the last head of the Athenian Academy and a philosopher of great penetration, displays the profundity of the Platonic tradition after many centuries of continuous development. 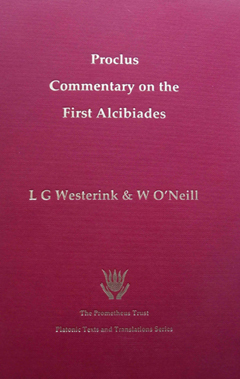 This is a new edition with amendments as noted by L G Westerink in the margin of his own working copy after its first publication. 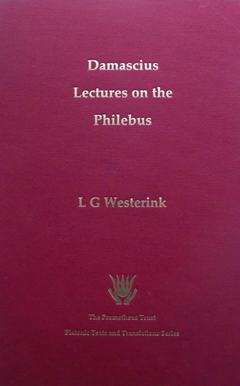 Damascius’ Lectures on the Philebus deals with some of the important insights explored by the late Platonic writers, concerning the dialectical system, the relation of the One to the Many, and of Pleasure to Intelligence, the Bound and the Infinite and their mixture, the nature of the Good, and so on. Westerink brings to the work his usual high standard of scholarship and thoughtfulness: with extensive introduction, notes and indices. This is a new edition with amendments as noted by L G Westerink in the margin of his own working copy after its first publication. with William O’Neill’s English translation. 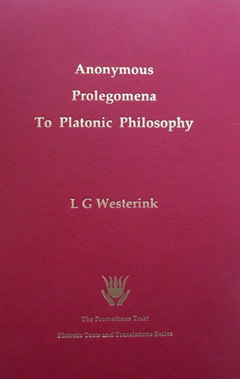 This edition is the first publication of a parallel text and translation of Proclus’ extensive and profound Commentary: the text is the Westerink edition first published in 1962, and the translation is that of O’Neill originally published in 1965. The late Platonists considered the First Alcibiades as the best starting point for the new student of philosophy because its primary theme is an exploration of the Delphic exhortation, “know thyself” - and since all human knowledge is shaped by our particular nature, unless we understand the nature of our self all further knowledge is dubious. This Commentary is an extensive summary of this theme, and its most important implications; it draws not only on the text but also upon the Chaldean Oracles, Orphic mythology, as well as the writings of Proclus’ predecessors in the late Platonic tradition. Please ensure you have selected the appropriate postage/discount from the button’s accompanying drop down menu.Please note we do not ship to the US or Canada. Numenius of Apamea was, according to John Dillon, the “most fascinating figure in second-century philosophy” and an important forerunner of what is commonly known as neoplatonism - so much so that at one point Plotinus was accused of merely appropriating Numenius’ ideas. Unfortunately none of his works survive intact, so his full influence upon the development of Platonism must remain largely a matter of conjecture. The Chaldean Oracles hold a special place in the development of the Platonic tradition - they gave a new impetus and inspiration to a number of philosophers now known as neoplatonists. 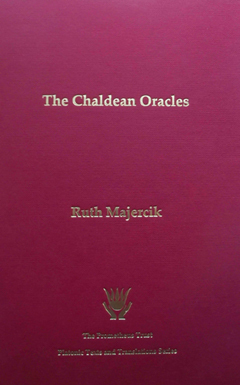 The extant fragments of the Oracles have been the subject of several studies in the modern era: since its publication in 1989 this presentation of the Chaldean Oracles in parallel text and translation with Ruth Majercik's detailed notes and analysis has established itself as the modern baseline for scholarly work upon the Oracles. This is a facsimile edition of that publication.